If you have been visiting or need to stay at Pune for a while, you would like to visit some of these travel places in Pune which are also among the best places in Pune to visit. Pune is surrounded by hill stations and historical places for visitors and locals alike. If you are a history buff then surely the Jadhavgarh fort which is situated 30 km from Pune and is listed among the historic places in Pune would interest you. 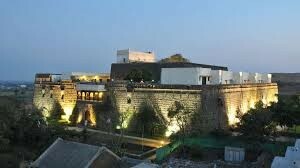 This is an 18th century fort that signifies the glory of the Maratha Empire and now houses a five star hotel. 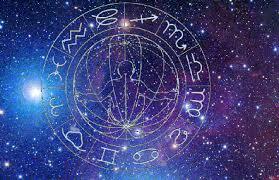 They have activities like ghazal night for visitors and suitable for family trip. Among the temples in Pune city, the Pataleshwar cave temple is a remarkable architecture that dates back to the 8th century and is actually a temple dedicated to lord Shiva. The temple can be visited between 8:30 am to 5:30 pm and has some very scenic surroundings very suitable for photography. The striking feature of this tourist attraction in Pune is that it is carved out of single piece of basalt rock and resembles the ellora caves. Another landmark among Gardens in Pune city is the peshwa udyan. It is one of the best for quick team outing places in Pune and it houses a zoo as well so can attract the kids too. It is among the places preferred by schools to carry outing activities. The entry fee is very nominal of rupees 2 for adults and 1 rupee for kids. It is open from 9am to 5:30pm. 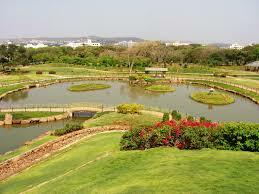 Perfect Pune places to visit for couples would include this particular lush green park. If you are wondering what to see in pune, and love natural environment then this Japanese Okayama inspired decorated garden is agreat choice. 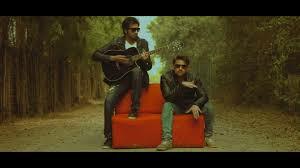 One can also visit this with friends as it is among the best places in pune to hangout as well. It has an entry fee of Rs.5. For sightseeing around Pune, you cannot simply miss the museums and the nature parks here and one such location in Pune include the katraj snake park. 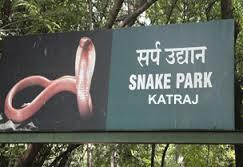 It is also known as the Rajiv Gandhi zoological park and is among places to visit in Pune for family. It is open from 9:30 am to 5pm and allows photography. 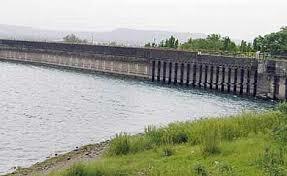 For one day trip near pune in summer, the khadakwasla dam is a major choice among the tourist attractions in Pune. The dam is located on the mutha river and was built in the year of 1879 in a masonry fashion. The construction was first of its kind here. It is a perfect place for place to visit in pune for weekends along with the nearby defence academy as well. Surrounded by hills, the city of pune has trekking spots near pune as well and the vetal tedki is the highest point of the city and ranges up to 2600 ft. above sea level. The name of the hill has been settled after the temple that is located on the top of the hill called the vetala temple which is another outing place near pune.It is perfect places to visit near Pune for couples away from the busy chaos of the city. Places near to pune for one day trip will surely include this particular hill top almost hidden fort whose name means the lion’s fort in English. It is also listed among the trekking places near pune and one can enjoy a one day tour from Pune particularly from July to February. 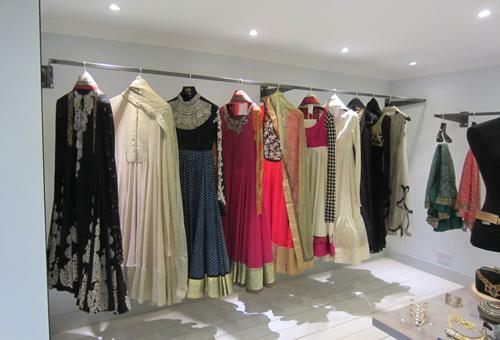 There is no entry fee for this particular spot and it is one of the Pune destinations that can be reached quickly. Places to visit near pune for couples and family outing places in Pune would include this particular scenic hill station which is not only known for the varasgaon dam but also the scope for variety of activities including water sports. 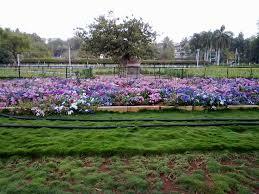 This place has a number of gardens and spots suitable for picnic places around pune. The place also has a musical fountain and even laser animation show that attracts adults and children alike. 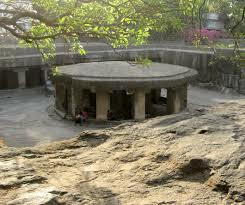 This is one of the best places to visit near to pune and also well known as among historic places in pune. If you love to go for outing then this is perfect team outing places in pune and one can also reach the shiveneri fort which is within 4 km from this place. The junnar caves is not just known for the temples but also the architecture and it is perfect for visiting during the months of December to February. 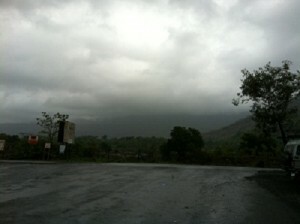 Places near pune for 2 days trip would include this magnificent hill station. It is a great option for places near pune for weekend trip and can be designated as places near pune for couples. If you and your partner like the calm and quite of plateau and valleys, then the sightseeing around pune including the Arthur’s point, needle hole point,pratapgarh fort and Kate’s point would surely interest you. It is located 120 km from pune. 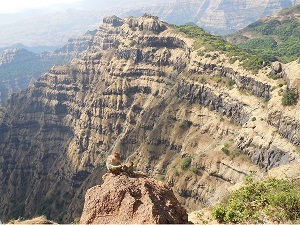 Mahabaleshwar is very near to Panchgani. 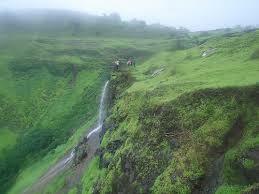 One can cover both hill stations in one day trip near Pune. One of the tourist attractions in Pune, the Shaniwarwada Palace is undoubtedly among the best places near Pune for family. The palace is notable for the architecture which is a blend of the Mughal and Maratha craftsmanship. The palace used to be one of the residences of the peshwa rulers. The entry fee to this palace is rs.5 for Indians and rs.125 for foreigners. 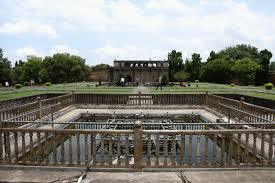 It is a very popular historical places in Pune city to visit. 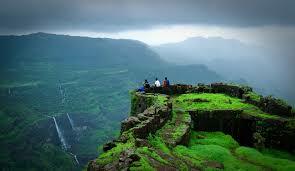 For one day return trip from Pune, the Rajgad fort is the best option which is situated 50km away from Pune. This is a former capital of the Maratha empire and the fort is situated on the top of the murumbhadevi mountain and it is suitable for a short trek so one can easily include the region into trekking places near pune city as well. 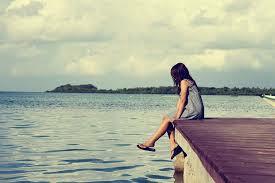 The place is suitable for visit from morning to evening and is a very scenic and natural spot for one day tour. 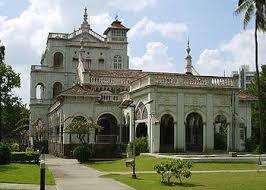 Tourist places in pune India include the aga khan palace which is a major tourist attraction in pune. It is open from 9am to 6pm and the entry fee is nominal of Rs.5 for Indians and Rs.100 for foreigners. The heritage building was constructed in the year of 1892. Listed among the Pune nearest tourist places it is especially significant as the place where Gandhiji and his wife were kept imprisoned for a while during the freedom movement of India. Temples in pune city include the Shindhe chhatri which is built in a rajasthani style and is also a temple for the worship of lord Shiva. Apart from that the three storeyed structures is a memorial of a brave peshwa commander. The building is a tribute to him. There is no entry fee and the temple is open for all at usual timing that is 9am to 6pm. 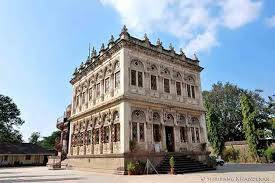 Included in the Pune local sightseeing packages, the darshan museum is among the best places in Pune to visit. 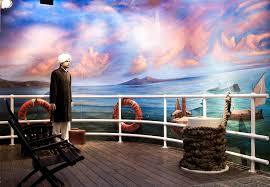 It is a biographical museum that introduces people to the works and life of Sadhu Vasvani. One can photograph within the museum premises easily and there is no entry fee for this locations in Pune. 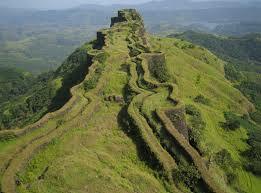 Places near pune for 2 days trip include this fort which is situated 60km towards lonavala. This fort was built during the reign of the first peshwa and also has several hanuman temples that you can look forward to. It is a perfect trekking spot near pune and also known for Carla and bhaja caves that can be included within a plan for visiting places near pune for one day outing. Another among places near pune for 2 day trip, khandala is located roughly 69 km from pune along the western ghat and it is situated on the Mumbai highway. It is known very well as one of the places near pune for weekend trip. 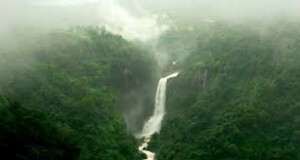 The major attraction of the location is natural places near pune. The weather is balmy and surrounded by lush greenery. 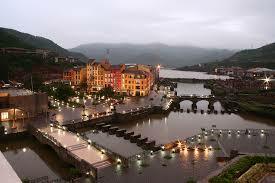 It is also among the honeymoon destinations near Pune. Around pune tourist places include the tamhini ghat of the western ghats that is close to khandala and is situated 70km away from pune. 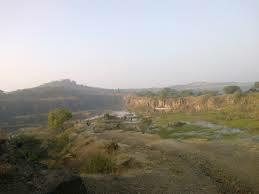 This is among the places near pune for trip that also is natural places near pune. The waterfalls and scenic beauty make it a place worth visiting for everybody. Natural places near pune that is a very good option as trekking spots near pune is the Rajmachi which is almost hidden trip places near pune among the sahyadri ranges. Trekking and camping conducted here are major pune tourism advantages that you can enjoy. It is located 78km from pune and history buffs as well as nature lovers would enjoy this spot immensely. 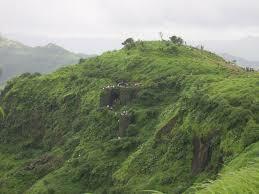 The rajmachi fort is also a great attraction. See all travel destinations near Pune, by choosing the distance you would like to cover from the categories. Be it one day trip, two day trip or a long trip near Pune, we have covered all places near Pune.